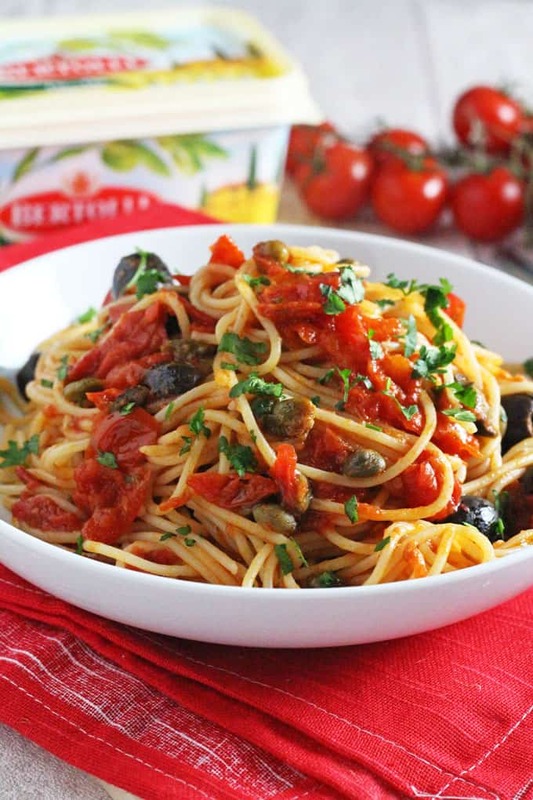 A super delicious and fresh pasta sauce made with Bertolli spread and packed with classic Italian flavours from tomatoes, garlic, capers, anchovies and olives. Really easy to make and sure to be a family hit! My family are pasta obsessed. I think if I served pasta every day I would never hear them complain, that’s how much they love it! 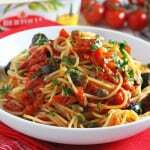 So when Bertolli got in touch to ask if I would like to try out some of their pasta recipes using their Bertolli spread, I jumped at the chance. Recently I have been stuck in a rut making the same pasta sauces every week so I was excited to try out this Italian Tomato Spaghetti recipe. 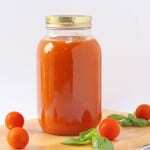 The sauce was so easy to make. I was surprised how few ingredients were actually needed and they were all ingredients I already had in my store cupboard. So how did it taste? Absolutely delicious! Honestly I was so impressed with this recipe. My husband said that he would gladly pay money in an Italian restaurant for this spaghetti, that’s how good it was! The secret ingredient most definitely is the Bertolli spread as it gives the sauce a really buttery and luxurious taste, but contains 74% less saturated fat than butter. 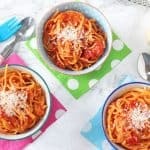 I’m really pleased to have discovered another quick, easy and healthy mid-week meal to feed my family and can’t wait to try out some more Bertolli recipes. Heat the Bertolli spread in a saucepan and sauté garlic and anchovies until soft. 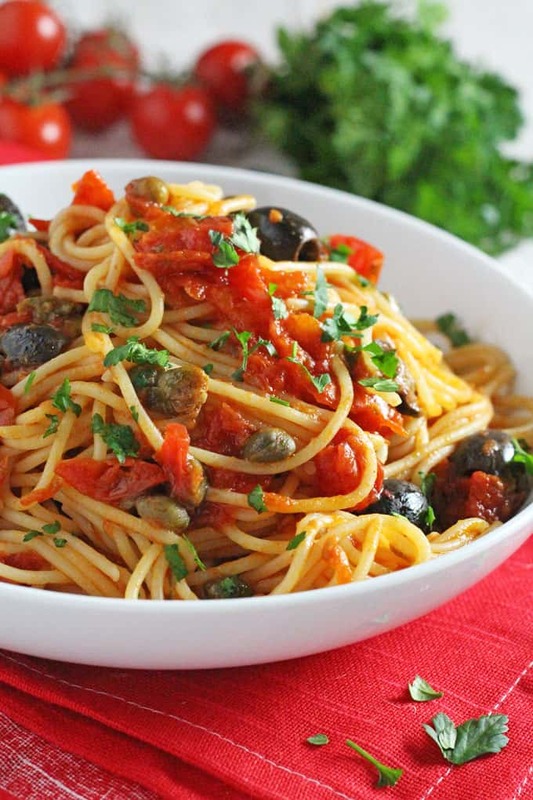 Add capers, olives and tomatoes and simmer for 15-20 minutes. Meanwhile cook the dried spaghetti according to pack instructions. Drain. Add the Italian spaghetti to the sauce, toss well together and serve sprinkled with parsley. Really good. 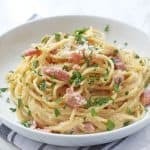 We love pasta but are bit stuck in a rut so this recipe was such a good change from our usual and have to confess I’m a anchovy lover now! This looks so beautiful! I must try cooking with anchovy’s too, I’ve heard such great things about the way they flavour a dish but have never tested it out. I shall give this recipe a go! Thank you, its such a delicious recipe. Definitely one of our new favourites now!